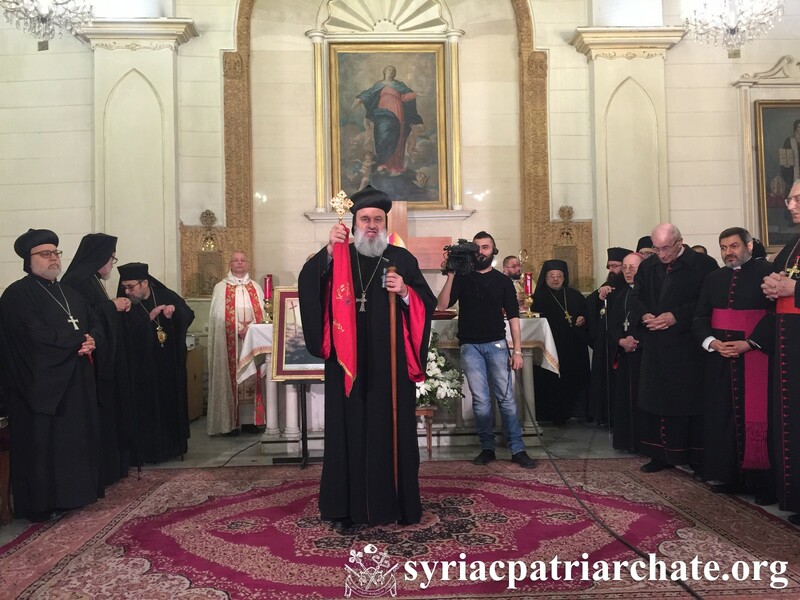 On February 9, 2019, upon the invitation of His Excellency Archbishop Samir Nassar, Maronite Archbishop of Damascus, His Holiness Patriarch Mor Ignatius Aphrem II attended the Holy Qurobo for the Commemoration of St. Maron according to the Calendar of the Maronite Church. 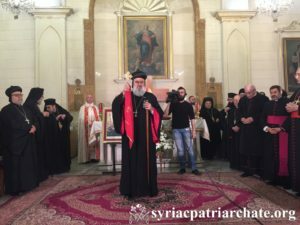 His Excellency Archbishop Nassar celebrated the Qurobo at St. Antonios Maronite Cathedral in Damascus. His Holiness was accompanied by His Eminence Mor Dionysius Jean Kawak, Patriarchal Vicar for the Archdiocese of the Eastern United States of America, Very Rev. Raban Jack Yakoub, Director of the Suryoyo Patriarchal Youth Department, and Very Rev. Raban Joseph Bali, Patriarchal Secretary and Media Office Director. The Qurobo was also attended by His Eminence Cardinal Mario Zenari, the Apostolic Nuncio in Damascus, as well as representatives of the Christian Churches in Damascus. At the end of the Qurobo, His Holiness gave the final blessing.